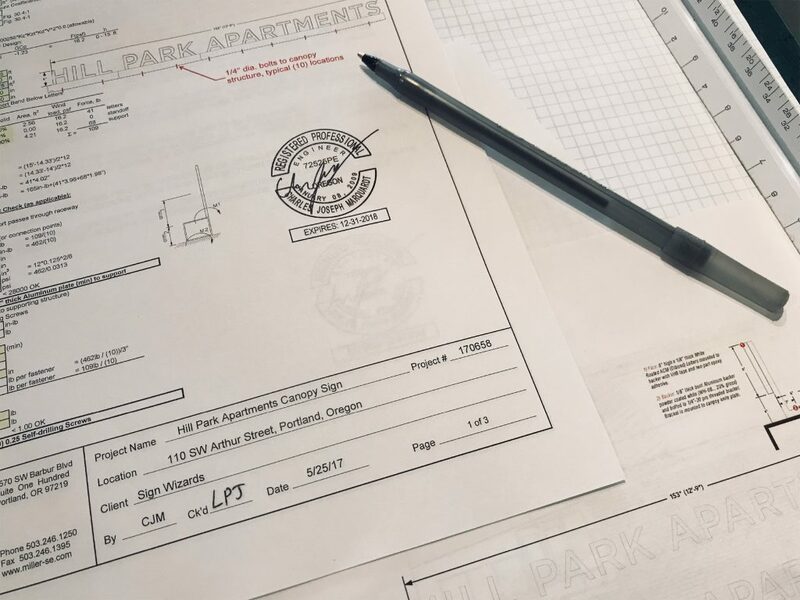 Signage designs often require stamped engineering drawings to guarantee a secure installation. Such drawings are particularly required as city and local permit prerequisites. We can provide the complete drawing package to help your company secure the necessary permits for the project.